It's time for a new performance standard. Varmints don't stand a chance. 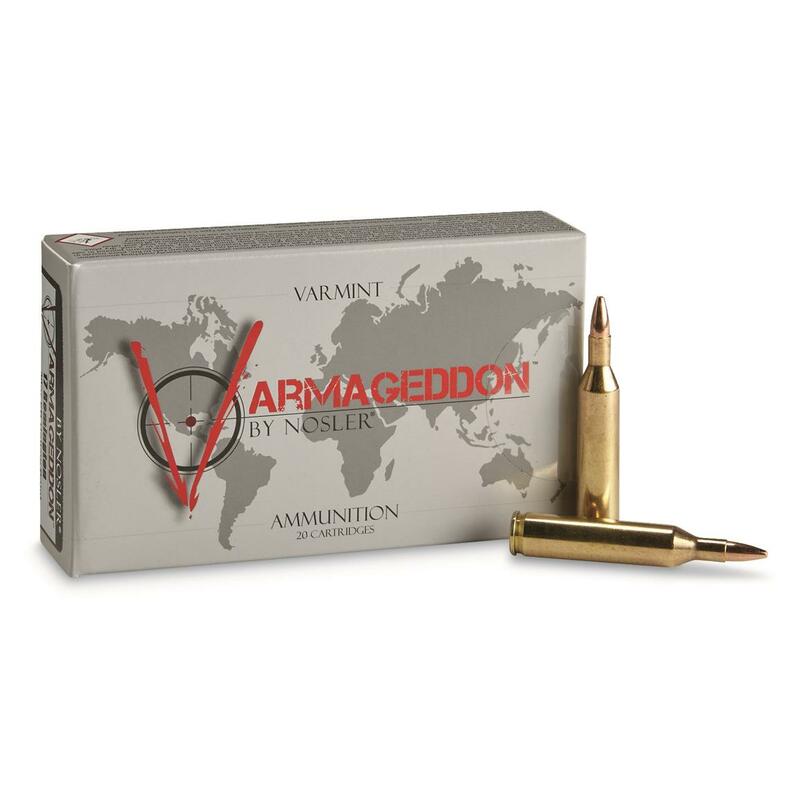 Constructed for deadly accuracy and performance, the Varmageddon® line by Nosler® instantaneously fragments upon impact. The ultra thin jacket mouth explodes in a violent expansion on either side of the velocity scale. Consistent thickening at the bullet's mid-section keeps it together until impact-at any velocity. This Ammunition is the highest level of performance any varmint hunter could desire.